It appears our sun is about to flip poles. I was stunned to learn this happens every 11 years; or at least that seems to be the pattern since the Wilcox Solar Observatory at Stanford started paying attention in 1976. The sun’s magnetic influence is called the heliosphere, reaching outwards for billions of kilometres , directly impacting space weather in every corner of our galaxy. The “current sheet” radiates outwards from the equator of the sun. 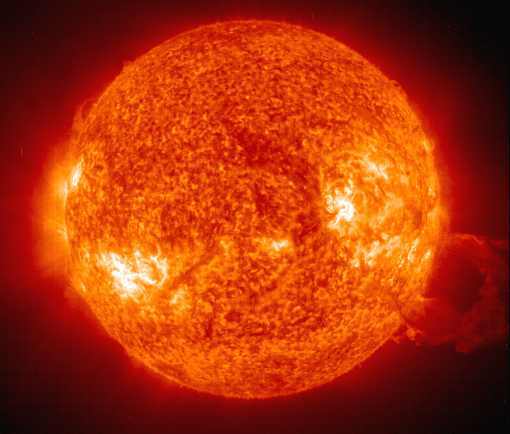 Slow rotation of the sun’s magnetic field produces an electrical current, when the sun’s inner core tidies itself up, reorganizing the closets, a pole shift takes place making the current sheet “wavy”. As Earth passes in and out of this wavy charge, space weather can be a little bonkers. Hardly a prediction of catastrophe, solar pole reversal is a normal part of the solar cycle. My only wish is for people to start paying attention to the sky. As I write Perseids blaze across the night sky, solar wind rages at 460 Km/second – down from the blast of solar wind striking earth yesterday, responsible for the geomagnetic storm igniting auroras. Asteroid 2013PJ10 just passed earth, a mere Lunar Distance away; at just over 50 metres, capable of wiping out an entire city. A little cosmic pondering is good for the soul; it helps put things in perspective.